Young Authors Theme for 2018: What Makes Your Heart Fill Up? Due to Hurricane Florence, our first meeting on September 24 has been cancelled. 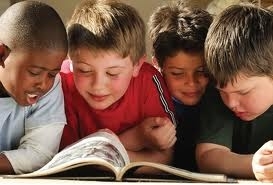 The New Hanover County Reading Association is a non-profit, professional organization. Members promote literacy throughout the district. We are a local chapter of the North Carolina Reading Association - a state affiliate of the International Reading Association (IRA). Membership is open to ALL interested in literacy. to expand and support literacy in the public and private schools of New Hanover county through fostering children's love of books. Please explore this website for valuable information about our local reading council, state and international reading councils, upcoming events, meeting schedule, and literacy events.